I like to learn to do all sorts of random things. 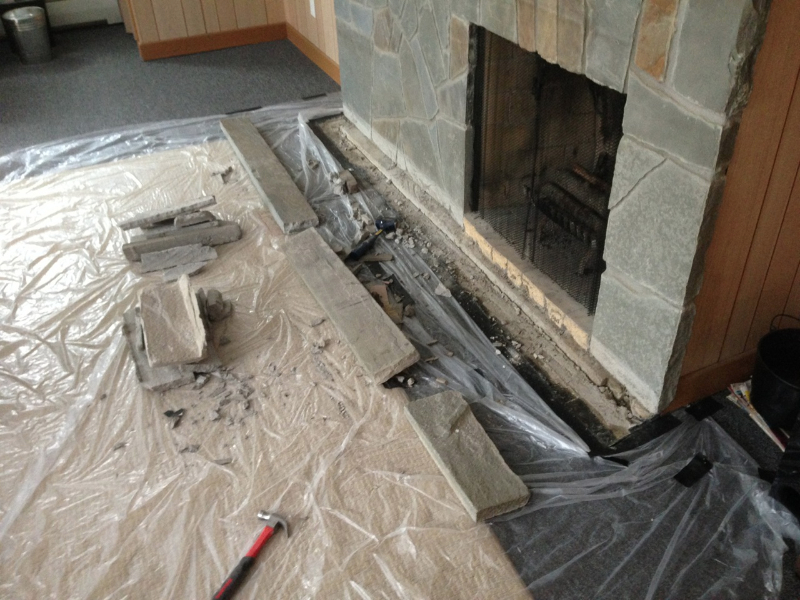 A few weeks ago, I got sick of looking at the bottom ledge stones of the Family Room fireplace. 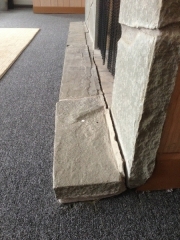 The floor in the family room has settled significantly, and that shift in the floor resulted in the base those stones were set on shifting downward, pulling the stones away slightly. My grandparents had just dealt with it as long as I’ve been around, but I had it on my to-do list for awhile, so I bought some mortar and got to work. To start, I removed all of the existing mortar and got a nice, clean base to rebuild on. Once the stones were out I could see exactly what had happened: the block chimney hadn’t settled at all (the house walls are built very well), but the outside edge of the stones rested on the four-inch slab of the downstairs floor. This floor had a design flaw (from investigation, I believe a poor base was put under it – mostly sand for heat absorption for the radiant heat) and it sagged significantly. At the point it met the chimney, it was down almost an inch from where it was originally constructed. 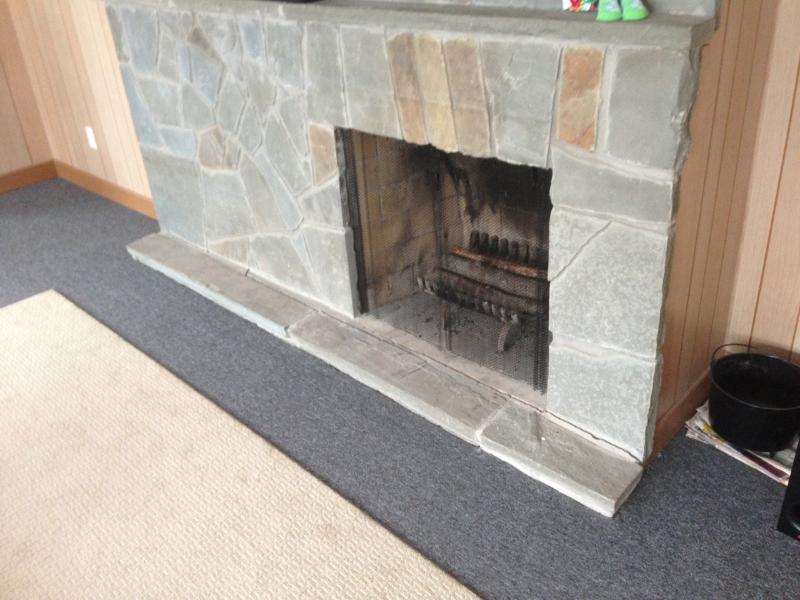 This entry was posted in before and after, interior and tagged masonry on March 3, 2014 by Douglas Camin.